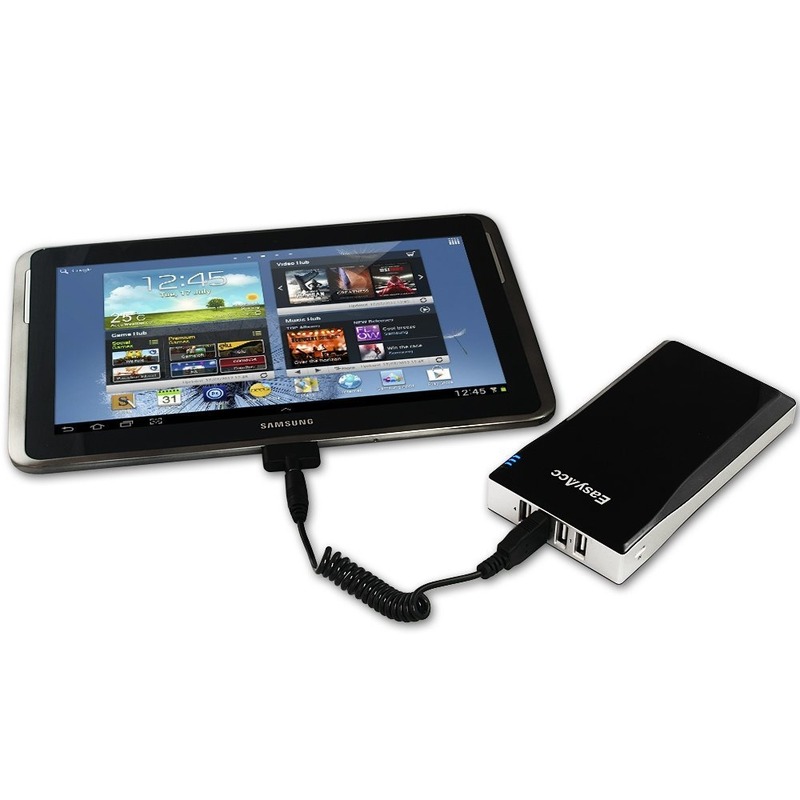 We're featuring this external battery charger for three reasons. One: it's a pretty neat piece of kit in its own right, with a huge 12000mAh capacity (4-8 charges for most recent Android phones) and four USB charging ports, three of which can be active simultaneously. Two: the manufacturer made some small but pertinent additions to the hardware design after receiving feedback from a knowledgeable customer. Three: at $40, it would be a pretty good deal even for a basic 1-port charger of this capacity. With the extra features, it's a downright bargain. The EasyAcc charger's biggest differentiator is its four standard USB charging ports ,which are set to amperage outputs between .5A and 2.1A. That means that it supports charging for tablets on the higher ports, plus the "rapid charging" feature of some smartphones. 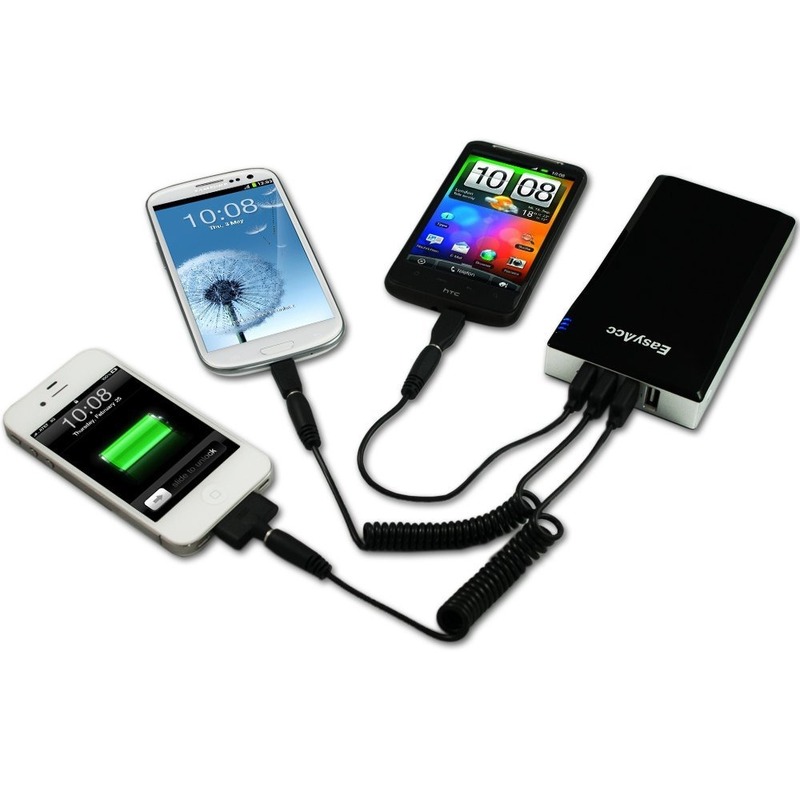 For most hardware, the charger can simultaneously power two tablets or three phones at the same time. 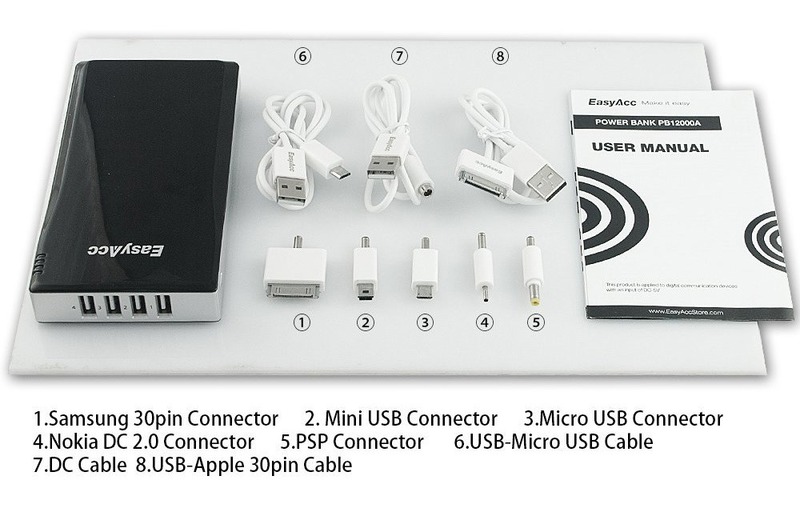 Adapters for MicroUSB, standard USB, MiniUSB, Samsung tablets, iDevices, and a few others are included in the box. But what's really impressed us about this particular unit is that the manufacturer saw one of the more detailed reviews on Amazon and decided to amend the hardware to address it. After Amazon user "Aragorn" posted an exhaustive review of the charger in October, EasyAcc added amperage labels for the four USB ports (5v/0.5A, 5v/1.3A, 5v/1.0A, 5v/2.1A) and a handy bag for holding all the cables and adapters. We're happy to support any manufacturer, big or small, that takes customer feedback seriously. Aragorn's review was updated in March - unfortunately, the current Amazon product shots don't reflect the changes. The charger has a 4.6 star rating after 300 reviews. 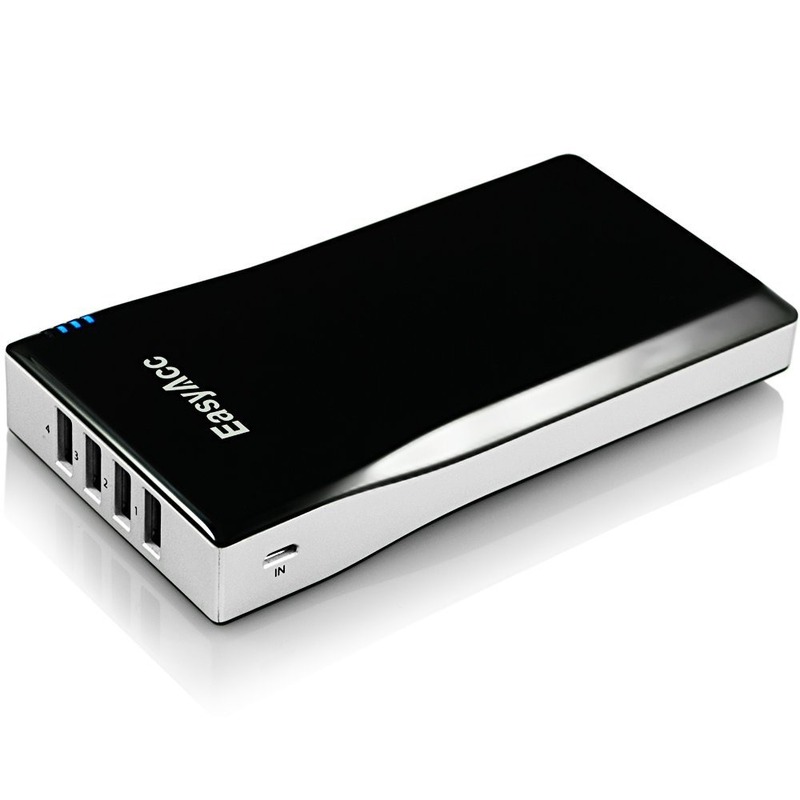 The EasyAcc 12000mAh battery pack is a whopping .7 pounds, and uses a lithium polymer battery for more lifetime recharge cycles. The plastic body is available with either black or white panels. It's currently listed at $39.99 on Amazon, and qualifies for free 2-day shipping for Amazon Prime members - which you'll definitely want if you're heading to Google I/O next week.